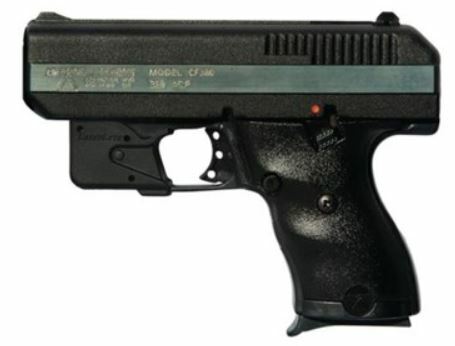 The Hi-Point CF380 is a compact, double action only polymer framed handgun that is economical and easy to conceal. It features a durable, easy grip finish, three-dot adjustable sights and a manual thumb safety. To get you on target quickly, this pistol is also equipped with a Laserlyte trigger guard laser. Hi-Point firearms are 100 percent made in the United States.